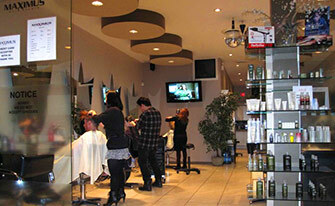 Maximus Hair Studio was established in 2000. 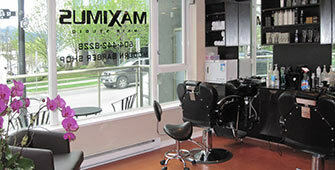 Well-known for its multicultural staff, featuring stylists from Japan, Korea, Mexico, Europe and many other parts of the world, Maximus has become a staple of Vancouver's West End. Its friendly environment attracts many long-time loyal customers and serves as a welcome stop for visitors and short-term residents of the city. Among the products that Maximus proudly carries are the complete line from Aveda, a company that prides itself on its quality and environmental friendliness. In addition, Maximus uses L'Oreal Professional colouring products. Men's hair cut includes consultation, cut, wash, hot towel and style. Men's face shaving includes hot towel shave, using Aveda shaving cream and shaving with straight razor.